Although automation has made operations more efficient, people remain an essential part of manufacturing. Production worker helpers carry out tasks on the factory floor, supplying materials, holding tools, and cleaning work areas and equipment. Production worker helpers load and run machines, and may make minor adjustments and repairs. They sometimes read charts and gauges, then record data and other details about production. They also move and process materials and inspect final products to ensure they meet standards. Attention to detail is critical in production. Helpers must be able to cooperate with their coworkers, tolerate a stressful environment, and have the stamina to push through long hours on their feet. 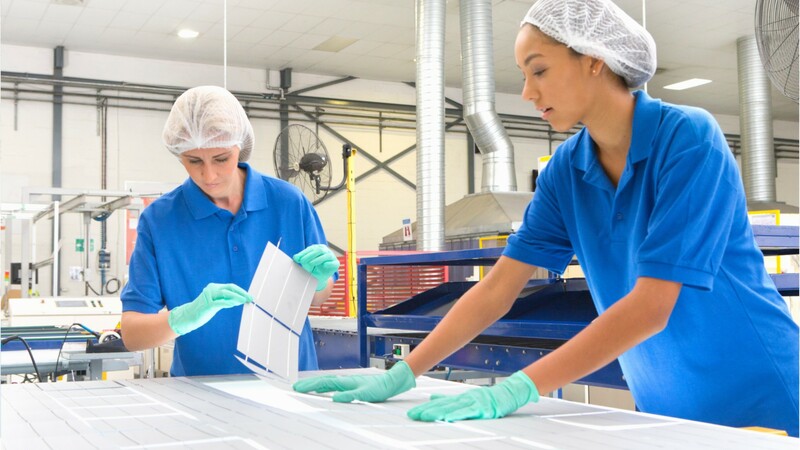 Production worker helpers wear protective gear on a daily basis, and most make repetitive motions, so precautions are necessary to avoid injuries. As in many manufacturing jobs, the noise levels may be high. Production worker helper positions don’t typically have specific education requirements, but some do require a high school diploma. Mechanical knowledge, and experience with computer aided design software may be helpful. See more details at O*NET OnLine about helpers--production workers. Helpers--Production Workers by U.S. Department of Labor, Employment and Training Administration is licensed under a Creative Commons Attribution 4.0 International License.